THE fourth chapter of the Acts brings the Apostles into their first contact with the Jewish state organisation. It shows us the secret springs which led to the first persecution, typical of the fiercest that ever raged against the Church, and displays the calm conviction and moral strength by which the Apostles were sustained. The historical and local circumstances narrated by St. Luke bear all the marks of truth. I The miracle of healing the lame man had taken place in Solomon’s porch or portico, which overlooked the Kedron valley, and was a usual resort as a promenade or public walk, specially in winter. Thus we read in Joh 10:22,23, that our Lord walked in Solomon’s porch and it was winter. Solomon’s porch looked towards the rising sun, and was therefore a warm and sunny spot. It was popular with the inhabitants of Jerusalem for the Same reason which led the Cistercians of the Middle Ages, when building magnificent fabrics like Fountains Abbey, to place their cloister garths, where exercise was taken, on the southern side of their churches, that there they might receive and enjoy the heat and light of our winter sun. The crowd which was collected by Peter soon attracted the attention of the Temple authorities, who had a regular police under their control. The Jews were permitted by the Romans to exercise the most unlimited freedom within the bounds of the temple to secure its sanctity. In ordinary cases the Romans reserved to themselves the power of capital punishment, but in the case of the temple and its profanation they allowed it to the Sanhedrin. The Jews were actually about to kill St. Paul when the soldiers came upon them. To this fact, Tertullus the orator, when speaking before the governor Felix, alludes, and that without rebuke, saying of St. Paul, "Whom we took, and would have judged according to our law. "85 Here comes in our illustration of the Acts derived from modern archaeological research. Some few years ago there was discovered at Jerusalem, and there is now laid up in the Sultan’s Museum at Constantinople, a sculptured and inscribed stone, containing one of these very Greek notices upon which the Apostles must have looked, warning Gentiles not to enter within the sacred bounds, and denouncing against transgressors the penalty of death which the Jews sought to inflict upon St. Paul.86 Now it was just the same about the other details of the temple worship. Inside the sacred area the Jewish law was supreme, and Jewish penalties were enacted. In order, therefore, that the temple might be duly protected the priests watched in three places, and the Levites in twenty-one places, in addition to all their other duties connected with the offering of the sacrifices and the details of public worship. These guards discharged the duties of a sacred or temple police, and their captain was called the captain of the temple, or, as he is denominated in the Talmud, "The ruler of the mountain of the House." II We see too the secret source whence the opposition to apostolic teaching arose. The priests and the captain of the temple and the Sadducees came upon them. The captain was roused into action by the Sadducees, who were mingled in the crowd, and heard the words of the Apostles proclaiming the resurrection of Jesus Christ, "being grieved that they taught the people, and preached through Jesus the resurrection from the dead." It is noteworthy how perpetually the Sadducees appear as the special antagonists of Christianity during these earliest years. Our Lord’s denunciations of the Pharisees were so often repeated that we are apt to think of them as the leading opponents of Christianity during the apostolic age. And yet this is a mistake. There was an important difference between the Master’s teaching and that of His disciples, which accounts for the changed character of the opposition. Our Lord’s teaching came specially into conflict with the Pharisees and their mode of thought. He denounced mere external worship, and asserted the spiritual and inner character of true religion. That was the great staple of His message. The Apostles, on the other hand, testified and enforced above everything else the risen, the glorified, and the continuous existence in the spirit world of the Man Christ Jesus. And thus they came into conflict with the central doctrine of Sadduceism which denied a future life. Hence at Jerusalem, at least, the Sadducees were ever the chief persecutors of the Apostles, while the Pharisees were favourable to Christianity, or at least neutral. At the meeting of the Sanhedrin of which we read in the fifth chapter, Gamaliel, a Pharisee, proposes the discharge of the imprisoned Apostles. In the twenty-third chapter, when St. Paul is placed before the same Sanhedrin the Pharisees take his side, while the Sadducees are his bitter opponents. We never read of a Sadducee embracing Christianity; while St. Paul, the greatest champion of the gospel, was gained from the ranks of the Pharisees. This fact sheds light on the character of the apostolic teaching. It was not any system of evanescent Christianity; it was not a system of mere ethical teaching; it was not a system where the facts of Christ’s life were whittled away, where, for instance, His resurrection was explained as a mere symbolical idea, typifying the resurrection of the soul from the death of sin to the life of holiness; for in that case the Sadducees would not have troubled themselves on this occasion to oppose such teaching. But apostolic Christianity was a system which based itself on a risen Saviour, and involved, as its fundamental ideas, the doctrines of a future life and of a spiritual world, and of a resurrection where body and soul would be again united. Some strange representations have been from time to time put forward as to the nature of apostolic and specially of Pauline Christianity, but one of the strangest is what we may call the Matthew Arnold theory, which makes the apostolic teaching a poor, emasculated thing, devoid of any real foundation of historical fact. If Christianity, as proclaimed by St. Peter and St. Paul, was of this type, why, we ask, was it so bitterly opposed by the Sadducees? They at any rate understood the Apostles to teach and preach a Jesus Christ literally risen from the dead and ascended in the truth of human nature into that spiritual and unseen world whose existence they denied. For the Sadducees were materialists pure and simple. As such they prevailed among the rich. The poor, then as ever, furnished very few adherents to a creed which may satisfy persons who are enjoying the good things of this life. It has very few attractions, however, for those with whom life is dealing hardly, and to whom the world presents itself in a stern aspect alone. It is no wonder the new teaching concerning a risen Messiah should have excited the hatred of the rich Sadducees, and should have been welcomed by the poorer classes, among whom the Pharisees had their followers. The system of the Sadducees was a religion indeed. It satisfied a want, for man can never do without some kind of a religion. It recognised God and His revelation to Moses. It asserted, however, that the Mosaic revelation contained nothing concerning a future life, or the doctrine of immortality. It was a religion, therefore, without fear of a future, and which could never indeed excite any enthusiasm, but was very satisfactory and agreeable for the prosperous few as long as they were in prosperity and in health. Peter and John came preaching a very disturbing doctrine to this class of people. If Peter’s view of life was right, theirs was all wrong. It was no wonder that the Sadducees brought upon them the priests and the captain of the temple, and summoned the Sanhedrin to deal with them. We should have done the same had we been in their position. In every age, indeed, the bitterest persecutors of Christianity have been men like the Sadducees. It has often been said that persecution on the part of a sceptic or of an unbeliever is illogical. The Sadducees were unbelievers as regards a future life. What matter to them was it, then, if the Apostles preached a future life, and convinced the people of its truth? But logic is always pushed impetuously aside when it comes in contact with deep-rooted human feeling, and the Sadducees instinctively felt that the conflict between themselves and the Apostles was a deadly one; one or other party must perish. And so it was under the Roman empire. The ruling classes of the empire were essentially infidel, or, to use a modern term, we should rather perhaps style them agnostic. They regarded the Christian teaching as a noxious enthusiasm. They could not understand why Christians should not offer incense to the deity of the emperor, or perform any act of idolatry which was commanded by state law, and regarded their refusal as an act of treason. They had no idea of conscience, because they were essentially like the Sadducees.88 So was it again in the days of the first French Revolution, and so we find it still. The men who reject all spiritual existence, and hold a Sadducean creed, fear the power of Christian enthusiasm and Christian love, and had they only the power would crush it as sternly and remorselessly as the Sadducees desired to do in Apostolic times, or as the Roman emperors did from the days of Nero to those of Diocletian. III The Apostles were arrested in the evening and put in prison. The temple had an abundance of chambers and apartments which could be used as prisons, or, as the Sanhedrin were accustomed to sit in a basilica erected in the court outside the Beautiful Gate, and inside Solomon’s porch or cloister, there was probably a cell for prisoners connected with it. The next morning St. Peter and St. John were brought up before the court which met daily in this basilica, immediately after the hour of the morning sacrifices. We can realise the scene, for the persons mentioned as having taken part in the trial are historical characters. The Sanhedrin sat in a semicircle, with the president in the centre, while opposite were three benches for the scholars of the Sanhedrists, who thus practically learned law. The Sanhedrin, when complete, consisted of seventy-one members, comprising chief priests, the elders of the people, and the most renowned of the rabbis; but twenty-three formed a quorum competent to transact business.89 The high priest when present, as Annas and Caiaphas both were on this occasion, naturally exercised great influence, though he was not necessarily president of the council. The sacred writer has been accused, indeed, of a historical mistake, both here and in his Gospel, (Joh 3:2) in making Annas high priest when Caiaphas was actually occupying that office, Annas, his father-in-law, having been previously deposed by the Romans. St. Luke seems to me, on the other hand, thus to prove his strict accuracy. Caiaphas was of course the legal high priest so far as the Romans were concerned. They recognised him as such, and delivered to him the high priest’s official robes, when necessary for the fulfilment of his great office, keeping them safe at other times in the tower of Antonia. But then, as I have already said, so long as the Roman law and constitutions were observed on great state occasions, they allowed the Jews a large amount of Home Rule in the management of their domestic religious concerns, and were not keen in marking offences, if only the offences were not thrust into public notice. Annas was recognised by the Sanhedrin and by the Jews at large as the true high priest, Caiaphas as the legal or official one; and they kept themselves on the safe side, as far as the Romans were concerned, by uniting them in their official consultations in the Sanhedrin. The Sadducees, doubtless, on this occasion made every effort that their own party should attend the council meeting, feeling the importance of crushing the rising sect in the very bud. We read, therefore, that with the high priest came "John and Alexander, and as many as were of the kindred of the high priest. "90 The priestly families were at this period the aristocracy of the Jews, and they all belonged to the Sadducees, in opposition to the democracy, who favoured the Pharisees. These latter, indeed, had their own representatives in the Sanhedrin, as we shall see on a later occasion, -men of light and leading, like Gamaliel; but the permanent officials of the Jewish senate were for the most part Sadducees, and we know how easily the permanent officials can pack a popular body, such as the Sanhedrin was, with their own adherents, when any special end is to be attained. IV The address of St. Peter to the Sanhedrin is marked by the same characteristics as we find in those directed to the people. It is kindly, for though the Apostles could speak sternly and severely, just as their Master did at times, yet they have left in this special direction an example to public speakers and public teachers of truth in every age. They strove first of all to put themselves in sympathy as much as possible with their audience. They did not despise the art of the rhetorician which teaches a speaker to begin by conciliating the good feelings of his audience towards himself. To the people St. Peter began, "Ye men of Israel"; he recognises their cherished privileges, as well as their sacred memories, -"Ye are the children of the prophets, and of the covenant which God made with our fathers." To the bitterly hostile audience of the Sanhedrin, where the Sadducees largely predominated, Peter’s exordium is profoundly respectful and courteous, "Ye rulers of the people, and elders of Israel." The Apostles and the earliest Evangelists did not despise human feelings or outrage human sentiment when setting out to preach Christ crucified. We have known men so wrong-headed that they were never happy unless their efforts to do good or spread their peculiar opinions eventuated in a riot. When evangelistic work or any kind of attempt to spread opinions evokes violent opposition, that very opposition often arises from the injudicious conduct of the promoters; and then when the opposition is once evoked or a riot caused, charity departs, passion and violent feelings are aroused, and all hope of good evaporates for the time. There was profound practical wisdom in that command of our Lord to His Apostles, "When they persecute you in this city, flee ye into another," Even taking the matter only from the standpoint of a man anxious to spread his peculiar sentiments. St. Peter’s address was, as we have already said, very kindly, but very bold and plain-spoken in setting forth the power of Christ’s name. He had learnt by his Jewish training the tremendous importance and solemnity of names. Moses at the bush would know God’s name before he went as His messenger to the captive Israelites. On Sinai God Himself had placed reverence towards His name as one of the fundamental truths of religion. Prophet and psalmist had conspired together to teach St. Peter that holy and reverend was the name of God, and to impress upon him thus the power and meaning which lies in Christ’s name, and indeed in all names, though names are things we count so trifling. St. Peter dwells upon this point all through his addresses. To the people he had said, "His name, through faith in His name, hath made this man strong." To the rulers it was the same. It was "by the name of Jesus Christ of Nazareth, whom ye crucified, this man doth stand here before you whole." "There is none other name under heaven whereby we must be saved." The Sanhedrin understand the importance of this point, and tell the Apostles they must not teach in this name. St. Peter pointedly refuses, and prays, when come to his own company, "that wonders may be done through the name of Thy holy servant Jesus." St. Peter realised the sanctity and the power of God’s name, whether revealed in its ancient form of Jehovah or its New Testament form of Jesus Christ. Well would it be if the same Divine reverence found a larger place amongst ourselves. Irreverence towards the sacred name is far too prevalent; and even when men do not use God’s name in a profane Way, there is too much lightness in the manner in which even religious men permit themselves to utter that name which is the expression to man of supreme holiness, -"God bless us," "Lord help us and save." How constantly do even pious people garnish their conversations and their epistles with such phrases or with the symbols D. V, without any real feeling that they are thereby appealing to Him who was and is and is to come, the Eternal. The name of God is still holy as of old, and the name of Jesus is still powerful to calm and soothe and bless as of old, and Christian people should sanctify those great names in their conversation with the world. St. Peter was bold because he was daily comprehending more and more of the meaning of Christ’s work and mission, was gaining-a clearer insight into the dignity of His person and was experiencing in himself the truth of His supernatural promises. How could a man help being bold, who felt the Spirit’s power within, and really held with intense belief that there was salvation in none other save Christ? Personal experience of religion alone can impart strength and courage and boldness to endure, to suffer, and to testify. St. Peter was exclusive in his views. He would not have suited those easygoing souls who now think one religion just as good as another, and consequently do not regard it as of the slightest moment whether a man be a follower of Christ or of Mahomet. The earliest Christians had none of this diluted faith. They believed that as there was only one God, so there was only one Mediator between God and man, and they realised the tremendous importance of preaching this Mediator. The Apostles, however, must be cleared from a misconstruction under which they have at times suffered. St. Peter proclaims Christ to the Sanhedrin as the only means of salvation. In his address to Cornelius the centurion of Caesarea, he declares that in every nation he that feareth God and worketh righteousness is accepted of Him. These passages and these two declarations appear inconsistent. Their inconsistency is only superficial, however, as Bishop Burnet has well explained in his exposition of the Thirty-Nine Articles, a book not read very much in these times.95 St. Peter taught exclusive salvation through Christ. Christ is the only means, the only channel and way by which God confers salvation. Christ’s work is the one meritorious cause which gains spiritual blessing for man. But then, while there is salvation only in Christ, many persons may be saved by Christ who know not of Him consciously; else what shall we say or think about infants and idiots? It is only by Christ and through Christ and for His sake that any soul can be saved. He is the only door of salvation, He is the way as well as the truth and the life. But then it ‘is not for us to pronounce how far the saving merits of Christ may be applied and His saving power extend. St. Peter knew and taught that Jesus Christ was the one Mediator, and that by His name alone salvation could be obtained. Yet he did not hesitate to declare as regards Cornelius the centurion, that in every nation he that feareth God and worketh righteousness is accepted of Him. It ought to be sufficient for us, as it was for the Apostles, to believe that the knowledge of Christ is life eternal, while satisfied to leave all other problems in the hands of Eternal Love. "Moreover he brought Greeks also into the temple, and hath defiled this holy place. For they had before seen with him in the city Trophimus the Ephesian, whom they supposed that Paul had brought into the temple" (Acts xxi. 28, 29). I have never seen a notice of this interesting biblical discovery in any English magazine or journal. There is an account of it in the Revue Archéologique for 1885, series iii., t. v., p. 241, by Clermont-Ganneau, its original discoverer. He calls it an authentic page of the New Testament. See more on this point in Dr. John Lightfoot's Horæ Hebraicæ ,Luke xxii. 4 and Acts iv. Pliny in his Letters , x., 97, writes to the Emperor Trajan expressing this view when telling how he dealt with the Christians of Bithynia: "I asked them whether they were Christians: if they admitted it, I repeated the question twice, and threatened them with punishment; if they persisted, I ordered them to be at once punished: for I was persuaded, whatever the nature of their opinions might be, a contumacious and inflexible obstinacy certainly deserved correction." A philosopher could not understand a man keeping a conscience in opposition to the law. The martyrs vindicated the freedom of the Christian conscience. It would take more space than we can now afford to explain the constitution of the Sanhedrin. There is an admirable and concise article on the subject in Schaff's edition of Herzog's Cyclopædia , and another in Kitto's Biblical Cyclopædia . Dr. John Lightfoot describes it in his Horæ Hebraicæ , which we so often quote. The most extensive and minute account of it will, however, be found in Latin in Selden's treatise De Synedriis , illustrated with plates. Dr. John Lightfoot, in his Horæ Hebraicæ , chap. iv., verse 6, identifies John mentioned in this passage with Rabban Jochanan ben Zaccai, the priest who lived till after the destruction of Jerusalem, and prophesied of that event forty years before it occurred. He was, however, a Pharisee, though the vast majority of the priests were Sadducees. Lightfoot tells the following story of him from the ancient Jewish books: "Forty years before the destruction of the city, when the gates of the temple flew open of their own accord, Rabban Jochanan ben Zaccai said, O Temple, Temple, why dost thou disturb thyself? I know thy end, that thou shalt be destroyed, for so the prophet Zechary hath spoken concerning thee, Open thy doors, O Lebanon, that the fire may devour thy cedar." He lived to be one hundred and twenty years old. He was permitted by Titus to remove the Sanhedrin to Jabneh on the destruction of the city, where he presided over it. The decay in the numbers of the Society of Friends may be traced to several causes. The Society has done its work. Its testimony has borne its appointed fruit, and, like other systems which have sufficiently acted their part, it is passing away. One of the most evident causes of its decline is the decay of preaching consequent upon their notion of immediate inspiration. The advance of general education has told on their members, who cannot endure the unprepared and undigested expositions which satisfied their fathers. The decay in the preaching power of the Evangelical party in the Church of England may, in many cases, be traced to much the same source. No Church or society can now hope to retain the allegiance of its educated members which does not recognise that the help of the Holy Spirit is vouchsafed through the ordinary channels of study and meditation. As a Sunday school teacher for more than thirty years I feel bound to say that half the teaching in Sunday schools is useless from want of preparation on the part of teachers. A large proportion of them never think of opening their Bibles beforehand and studying the appointed lessons, jotting down a number of leading questions to assist their memories. The result is, that after a few questions suggested by the text, the teacher turns to read a story or indulge in gossip with his pupils. A well-prepared teacher will never find an hour too long for the work appointed. I have already said something on pp. 131, 132, above, upon this subject, which is an extremely important and practical one. The primitive Christians had a profound reverence for the names of our Saviour, which they delighted to depict in different ways, some of them so secret as to defy the curiosity of the pagans. They used the symbol I.H.S., which I have known to arouse the susceptibilities of suspicious Protestants, though nothing but a Latin or Western adaptation of the three first letters of the Greek word ΙΗΣΟΥΣ written in capitals. The fish, again, was a favourite symbol, because each letter of the Greek word ιχθύς stood for a different title of our Lord, Ἰησοῦς, Χριστός, Θεός, Υιός, Σωτήρ, or Jesus, Christ, God, Son, Saviour. 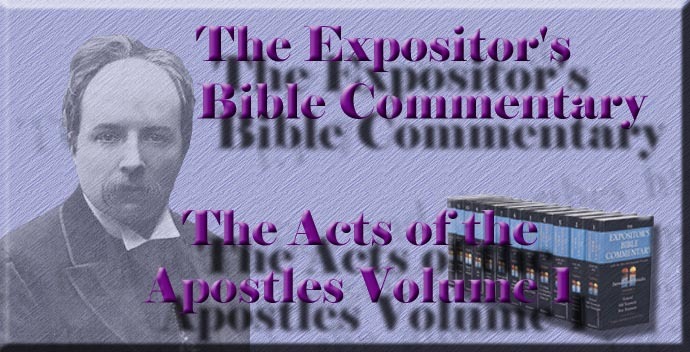 See Burnet's exposition of the eighteenth Article in his commentary on the Thirty-Nine Articles.